On Sunday 2nd October 2016 the Mayor of Redcar and Cleveland, Cllr Barry Hunt, held his Civic Service at Saint Helen’s Parish Church, Carlin How with Skinningrove. 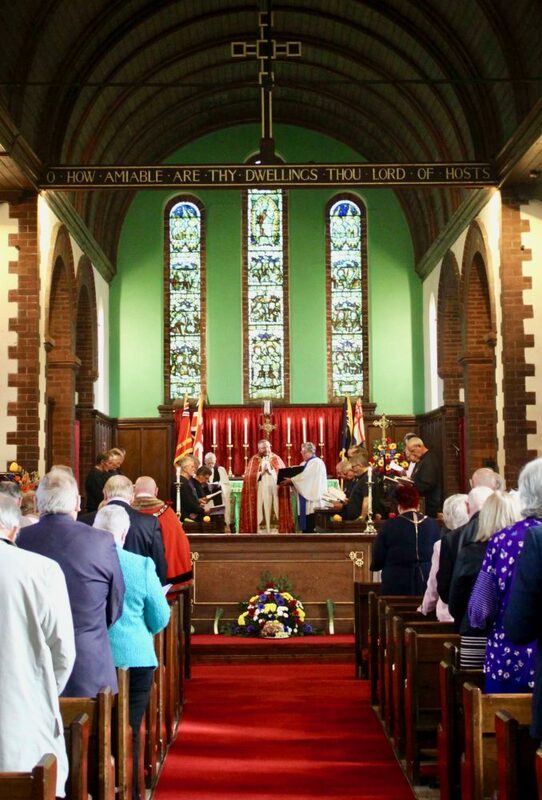 Over one hundred and twenty people filled Saint Helen’s Church to support Cllr Hunt and to pray for the Mayor, the work of the council and for the people of the Borough of Redcar & Cleveland. 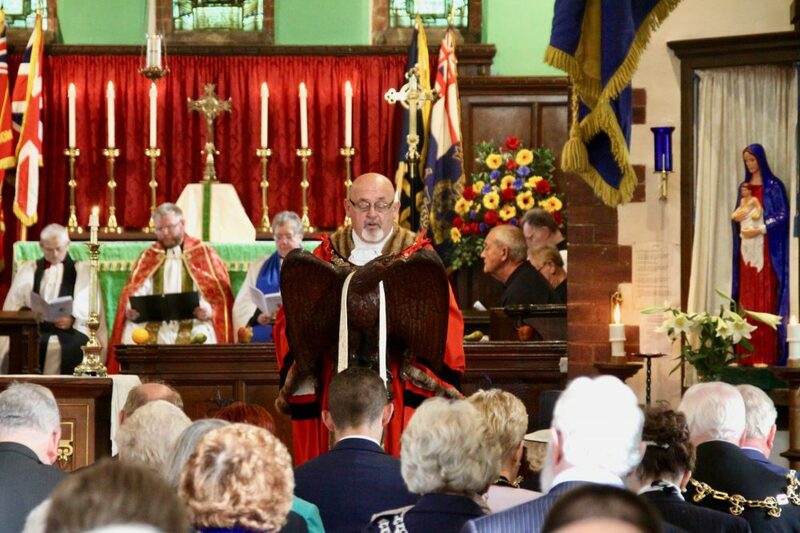 This was also an historic occasion for the people of Saint Helen’s Church in Carlin How, being the first time that the Borough Mayor’s Civic Service has ever taken place in the one hundred and sixteen year history of the church. During the service the Rector of Loftus, Carlin How & Skinningrove and Mayor’s Chaplain, Father Adam Gaunt, gave a sermon on the Christian concept of Vocation, reflecting on how public service is often born out of a sense of vocation and calling. 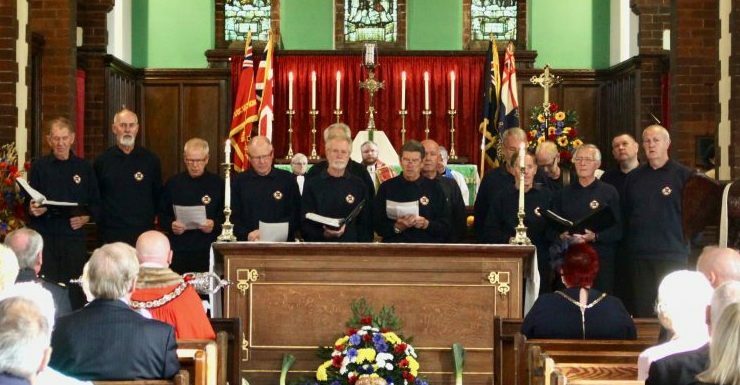 The Mayor read the bible lesson and excellent music was provided by parish organist, Cllr Elisabeth Westhead, by members of the Marske Fishermen’s Choir, alongside two solos sung by fifteen-year-old classical singer Charlotte Potter. 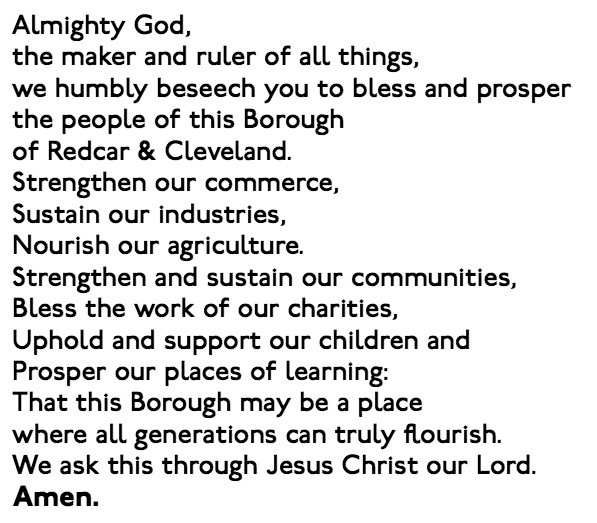 Formal prayers were said for the council and for people of the Borough of Redcar & Cleveland, including a prayer written especially for the Borough by the Mayor’s Chaplain. Alongside representatives of community groups, residents and local school children from Whitecliffe Primary School in Carlin How, HM The Queen was officially represented by the Deputy Lieutenant of North Yorkshire Mr David Kerfoot MBE and by the High Sheriff of North Yorkshire Mr John Furness. The MP for Middlesbrough South & East Cleveland, Mr Tom Blenkinsop, was also in attendance alongside civic guests from across Teesside, North Yorkshire and beyond. The formalities concluded with a group photograph in the Churchyard, before festivities concluded with a sumptuous Sunday Afternoon Tea.